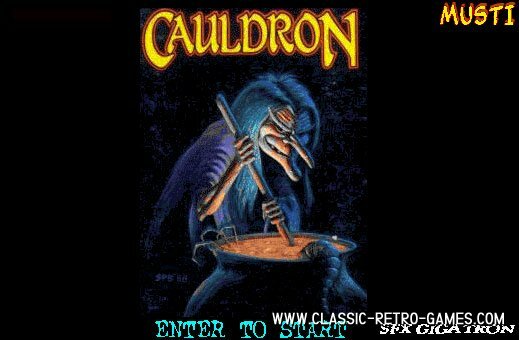 This Cauldron remake is fun, very hard to play but a bit minimalistic. Much like the original game :) Good thing about Cauldron is that touching critters or pools of burning lava don't instant kill but just hurt until you cannot take the hurting anymore. This allows you to take some risks now and then, which is needed in Cauldron. Enjoy this Windows remake by Musti! Currently rated: 2.8 / 5 stars by 11 gamers.